Real-life example of how user personas led to success in creating a criminal justice activism tool. 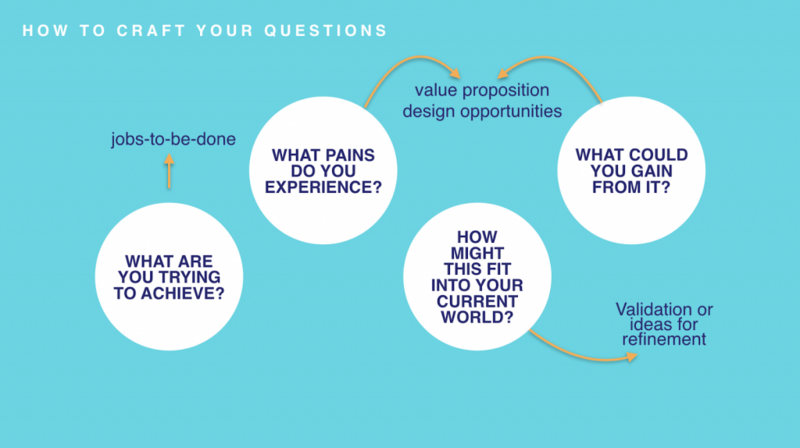 How to infuse a user-centered methodology & mindset to both online & offline communications. Three ways (light, medium, & comprehensive) to understand your audience and what motivates them. You won’t see stories like these on TV, but they are stories of everyday injustices that drive mass incarceration. They are the kind of stories that need to be told. His clients– disproportionately non-white people living in only certain neighborhoods–are targeted. The process is the punishment. The punishment is way broader than time in jail. People are arrested and humiliated and their lives can be ruined. It is often a vicious cycle. 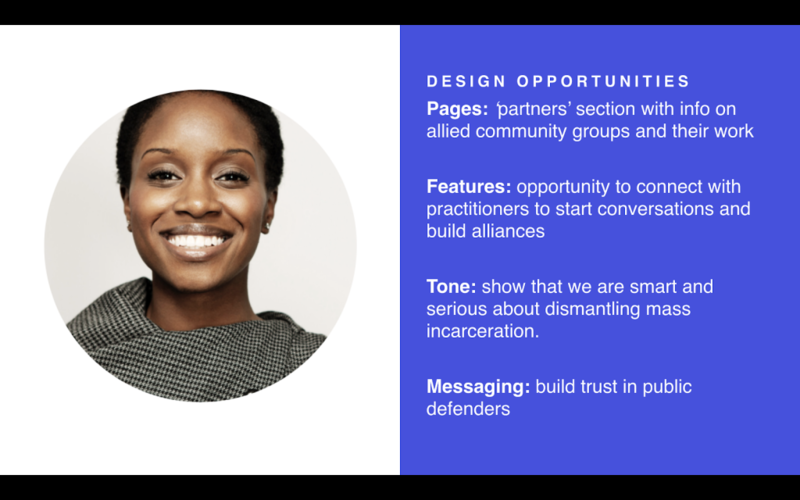 He approached Sruthi Sadhujan, Director of Strategy & Accounts, Hyperakt, a social impact design agency to help him frame and build a public defender-driven platform. Dispel myths that you need money, time, and expert! 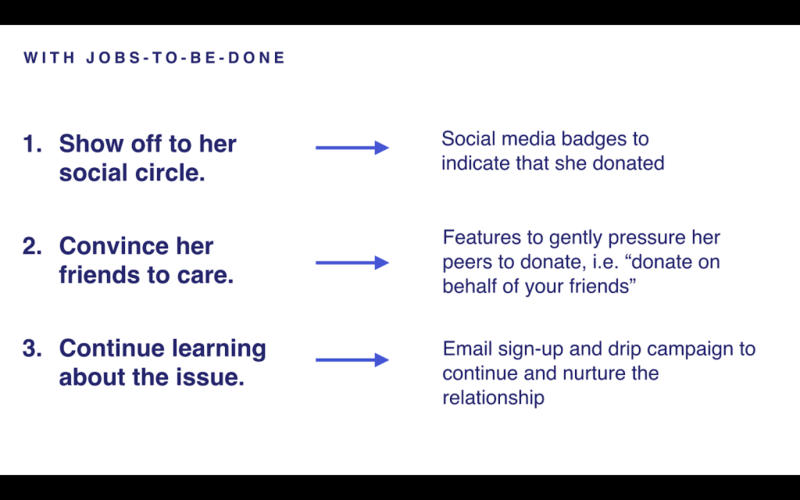 In a traditional framework for fundraising campaign: you would set goals, build website, lay out facts, make a case for the need, raise money. What would Rene “hire” the campaign to do? Ask what do we need to create for Rene (persona in your audience) to accomplish her job. A PROTO PERSONA is a low-fidelity hack, not based on research but based on the creator’s experience and assumptions. It’s better to use a proto persona than no persona! What is their current behavior? I’m Tina. I’ve got a BA, nothing fancy, but don’t underestimate me. I know what I’m doing. Through my work I represent thousands of people. They trust me. They see me as one of them. I have close relationships with other grassroots organizations and care deeply about clients. What are her barriers? Wary of lawyers telling her what to do. We’ve gotta convince her that we’re with her. Why would she be interested? I.e. With this new platform, she could zoom in and out, learn about the larger system and contribute stories? What do we want her to do? (User actions): Share stories, Contribute content? How do you craft questions? 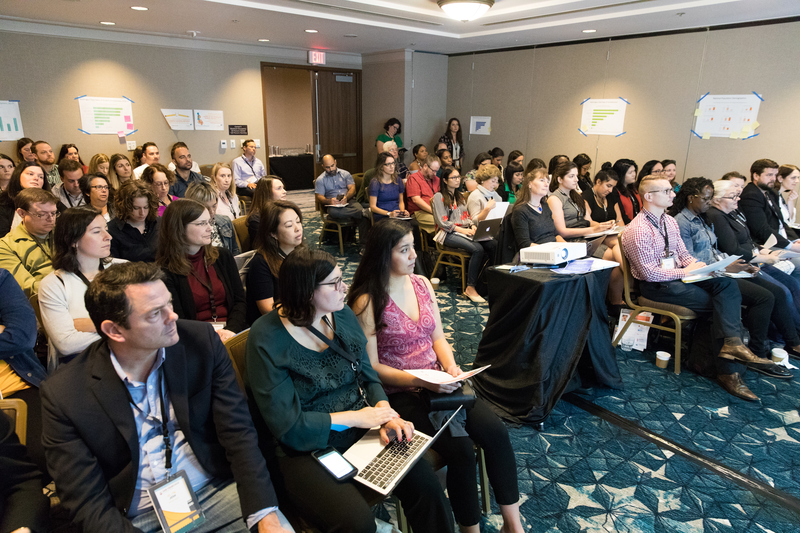 They gathered lawyers – listened to lawyers stories, city and county, former prosecutors, grassroots, formerly incarcerated people – cast a broad net. It was a validation that people came. They were not just faces, but actually involve the community. There is a false assumption that justice is administered equally, We need to take back narrative and redefine what it means to be safe. 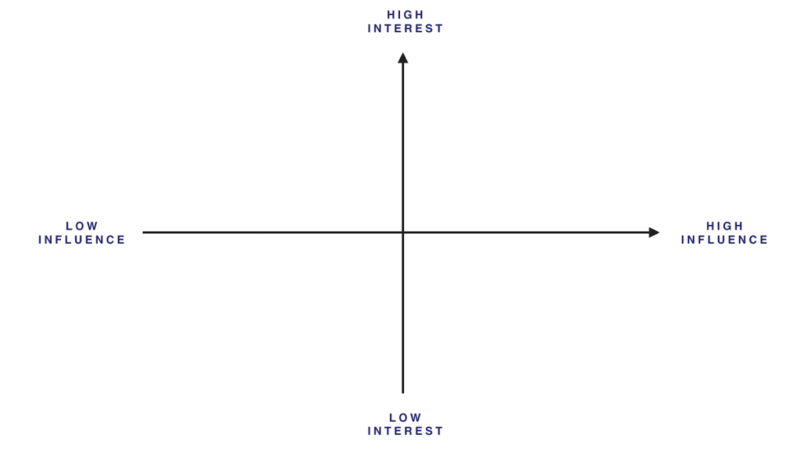 Define your audiences along continuums of low vs high interest (horizontal), and low vs high influence (vertical). Plot specific audiences in each quadrant to define your top audiences. Start small – START ANYWAY!